Like many of the 7 million other first time voters, she came of age during half a decade of military rule that has governed the country since former general turned Prime Minister Prayut-chan-o-cha seized power in a 2014 coup. "We have had our voice taken away for five years," she says. 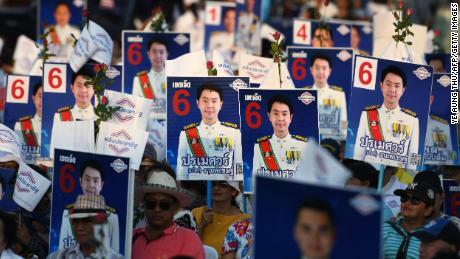 On Sunday, Thais will finally be able to make their voice heard as they go to the polls for the first time in eight years, in what is widely considered to be a contest between parties aligned with the military, and the pro-democracy camp, many of which are loyal to exiled former prime minister Thaksin Shinawatra and his political dynasty that has dominated domestic politics since 2001. With 18- to 25-year-olds making up about 15% of the nearly 52 million Thais eligible to vote, the youth ballot could prove decisive. Parties will be vying to win a majority in the 500-seat lower house of parliament on Sunday. 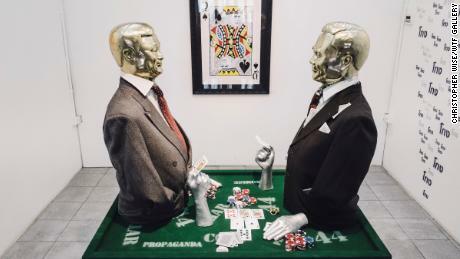 "I think a lot of people are quite tired of how country has been run over five years, and we just want to come out and make a small move to show we are not happy about," said 26-year-old Choltanutkun, a writer for a lifestyle magazine in the capital Bangkok. Prayut's 2014 coup ended months of violent street protests that led to the ouster of former prime minister Yingluck Shinawatra — Thaksin's sister. And many Thais have become increasingly frustrated with Prayut's failed promises to restore the nation to civilian democratic rule.Activists say Prayut's time in power has been marked with increased repression. Hundreds of activists have been charged under draconian laws such as sedition or lese majeste — which prohibits criticism of the royal family — and the sphere for robust public discourse has all but disappeared thanks to a Computer Crimes Act that restricts online expression and increases surveillance and censorship.At the forefront of many young Thais' reasons for voting are to restore those democratic freedoms many see as being eroded under junta rule. "Freedom of expression is one of the issues that I care about the most," Choltanutkun said, from her home in Bangkok. "It's OK to have differing opinions, but right now Thailand has no ability to be able to debate without attacking one another. You need to be able to talk about things and find a better solution for everyone." Vocal, young politicians are hearing that message from the young generation and are promising a fresh, new kind of politics.A rising star of the Democrat Party is Oxford educated Parit Wacharasindhu, 26, who co-founded the "New Dem" group to encourage a younger generation of politicians and voters to participate in the election. Their proposed policies include making Thailand's mandatory military service voluntary, legalizing ride-sharing services, and further marijuana legalization. "Whether it's bringing in more technology to improve our education system, whether it's a better kind of data collection across the health care system. Whether it's kind of liberal progressive issues like the environment or LGBT movement. These are issues that the country as a whole expects the younger generations to take a leading role," Parit told CNN. Parit, who is the nephew of Democrat leader and former prime minister Abhisit Vejjajiva, said the test would be to capitalize on the engagement from young people. "I think what we can do is to try to get young generations to go out and vote and make sure that this vibrant scene, this excitement the new generations are having at the moment, does not go to waste," he said. The biggest priorities, Parit said, are solving the country's economic issues, restoring civil liberties, and tackling corruption — issues that he sees are the biggest failings of the military government. 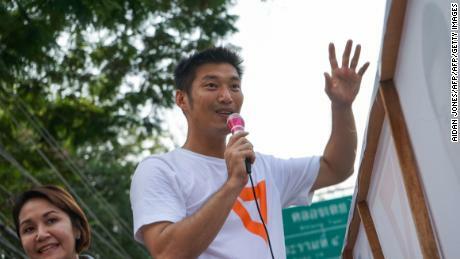 The newly formed Future Forward Party (FFP) has gained an almost cult following among the younger generation, through its progressive policies, savvy social media campaigning, and its billionaire leader Thanathorn Juangroongruangkit.Presenting itself as one of the anti-junta parties, FFP's policies include changing the military-drafted constitution, cutting the defense budget, increasing government transparency, and strengthening democratic institutions. "This is a kind of party Thai politics has not seen before in the past. It's radical, welfare-minded and pro-business," said Thitinan Pongsudhirak, director of the Institute of Security and International Studies at Chulalongkorn University. "It's a turning point and overdue because Thai politics has for more than the past three decades been dominated by the same old faces of politicians." 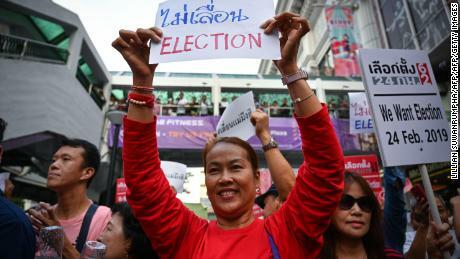 It also seeks to bridge the divide in Thailand's heavily polarized political landscape, which has historically pitted the royalist, pro-establishment Democrats against those loyal to exiled former prime minister Thaksin — often culminating in deadly street protests. "It's the most progressive party that we've had in like forever," said first time voter Choltanutkun. And FFP's popularity could be translated into real political clout, according to analysts. "2019 is the first time in Thai history that young people have organized a political party (Future Forward) with a chance of really capturing a number of seats in parliament," said Paul Chambers, a lecturer at the College of ASEAN Community Studies at Thailand's Naresuan University.